Google Persistent Disk is durable and high performance block storage for the Google Cloud Platform. 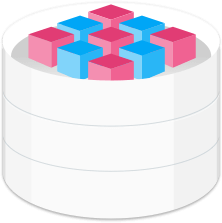 Persistent Disk provides SSD and HDD storage which can be attached to instances running in either Google Compute Engine or Google Kubernetes Engine. 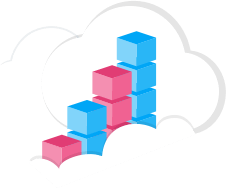 Storage volumes can be transparently resized, quickly backed up, and offer the ability to support simultaneous readers. Persistent Disk offers industry-leading price performance for both HDD and SSD to satisfy your needs whether you’re optimizing for latency sensitive workloads or high throughput workloads. HDD offers low-cost storage with a focus on affordability for large devices for which bulk throughput is of primary importance. SSD offers consistently high performance for both random access workloads and bulk throughput. Both types can be up to 64TB in size. Persistent Disk offers unique multi-reader capability. With multi-reader mounting, many virtual machines can read data from a single Persistent Disk with no performance degradation. Multi-reader mounting makes sharing content a snap. 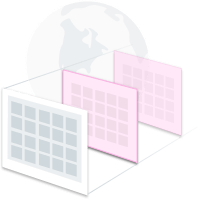 For maximum flexibility and minimal effort, snapshots are geo-replicated and available for restore in all regions by default. Snapshots of a block device can take place in minutes rather than hours. You no longer have to worry about undersizing your block devices. Persistent Disk gives you unlimited flexibility by allowing you to resize your storage while it’s in use by one or more virtual machines with no downtime. Persistent Disks are automatically encrypted to protect your data. You can supply your own key or we will automatically generate one for you. Persistent Disk is designed for high durability. It stores data redundantly to ensure data integrity. Your storage is located independently from your virtual machine instances, so you can detach or move your disks to keep your data even after you delete your instances. Each persistent disk can be up to 64 TB in size, so there is no need to manage arrays of disks to create large logical volumes. Online growth allows volumes to grow on-demand without the need to restart virtual machines or reattach volumes. — Peter Bakkum Platform Lead, Quizlet Inc.